↑ Sonderstatut für Trentino-Südtirol, Article 99, Title IX. 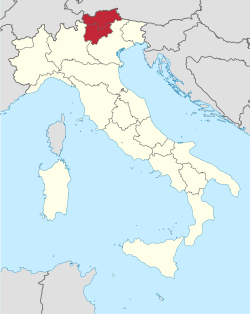 Region Trentino-Südtirol. ↑ "Eurostat – Tables, Graphs and Maps Interface (TGM) table". Epp.eurostat.ec.europa.eu. 12 August 2011. สืบค้นเมื่อ 16 September 2011. ↑ "European Commission - PRESS RELEASES - Press release - Regional GDP per inhabitant in 2008 GDP per inhabitant ranged from 28% of the EU27 average in Severozapaden in Bulgaria to 343% in Inner London". สืบค้นเมื่อ 8 April 2017. ↑ "Eurostat". Circa.europa.eu. สืบค้นเมื่อ 2009-08-09.